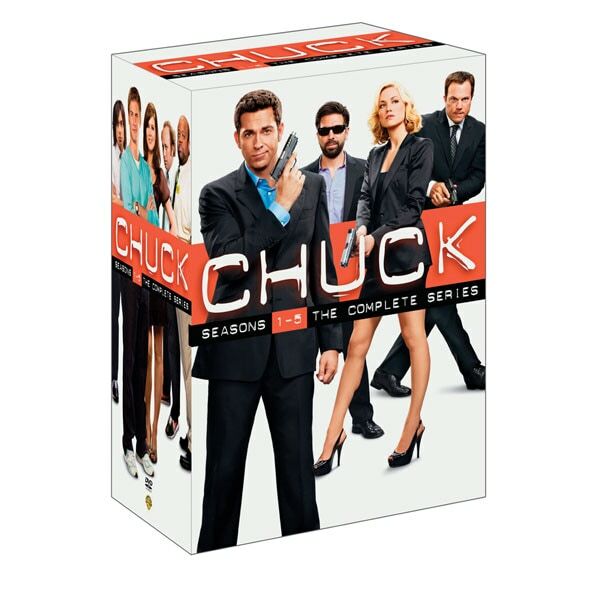 After 20-something computer geek Chuck Bartowski inadvertently downloads stolen government secrets into his brain, the CIA and NSA assign agents to protect him, he gets a cool new secret-agent girlfriend, and he's in danger 24/7. Merging technogadgetry, martial-arts smackdowns, and narrow escapes, this Emmy® winning NBC series is "an effervescent mix of high action, slapstick comedy and winning performances" (TV Guide). Zachary Levi and Yvonne Strahovski star. 91 episodes, about 65 hrs, 23 DVDs, CC. All 91 episodes from all 5 seasons are included in this collection. John Casey Presents: So You Want to Be a Deadly Spy?